22 Upcoming New Battle Royale Games of 2018 & Beyond (Updated!) | Nerd Much? 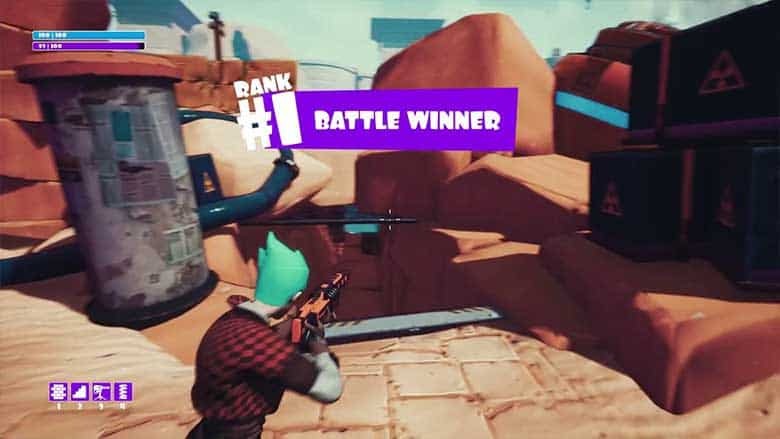 Last year, the Battle Royale genre enjoyed an explosion in popularity; this was largely due to PlayerUnknown’s Battlegrounds, but was also aided by the addition of a BR mode to the hugely popular FTP sandbox survival game Fortnite. Even in its unfinished state, PUBG was nominated for Game of the Year in 2017, and at the end of the year hit 3 million concurrent players (a record which Fortnite broke this past February). So, it should come as no surprise that other developers would see this phenomenal success and want to capitalize on it. Some are developing entirely new games solely devoted to BR, and while it’s true that some of them are little more than glorified PUBG clones, many of them are putting innovative new twists on the genre. Some are tacking BR modes onto existing games, much the way Fortnite did – and we’ve seen how well that’s worked for them. It’s a great tactic to revive games that have been out for a while, or even draw attention to ones that didn’t enjoy much success to begin with (not that Fortnite falls into either of those categories). If you’re finding that PUBG and Fortnite matches have gotten a little stale, and you want to know what’s on the horizon for the Battle Royale genre, look no further; here is our list of the most anticipated upcoming Battle Royale games for 2018 and beyond. **Editor’s Note 2/7/19: We realize that the list below is do for a major update, and it’s currently in queue. Check back Monday, February 18th for the newest, updated list! Let me start out by saying that the marketing for H1Z1 has been confusing at best, and the developers don’t seem to know what they want the game to be. It’s been split into separate projects, renamed, delayed, and gone free-to-play; it was first debuted in Early Access in 2015, with a slated release date of September 2016, but it was plagued with technical issues and the full release was delayed indefinitely. However, we feel it is worth mentioning because it did finally come out of Early Access last month, complete with a new Auto Royale Mode, and is still coming to consoles at some point in the future. So, what is H1Z1? 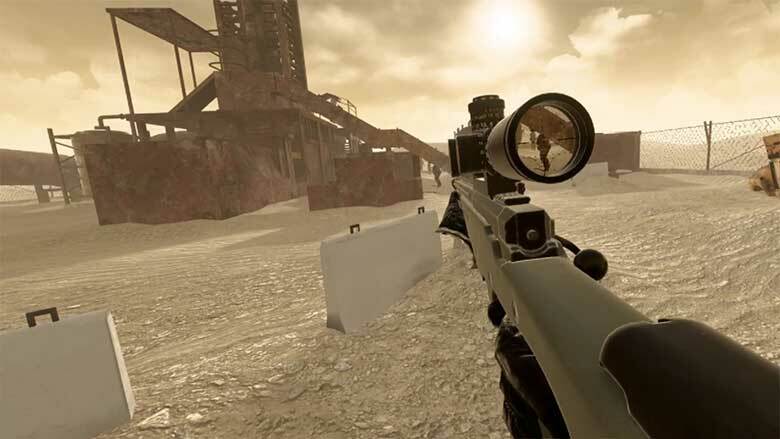 They call themselves “the Battle Royale Game that started it all”; it’s a fast-paced shooter that pits 150 players against one another either solo, in duos, or in groups of 5. Similarly to PUBG, you parachute in and must find weapons, ammo, supplies, and armor to aid in your survival – all while the play area gradually shrinks (due to a toxic cloud in this instance). Like PUBG, the damage from the cloud increases as the game progresses. The most notable difference is that H1Z1 features a crafting system that allows you to create supplies from scavenged items. 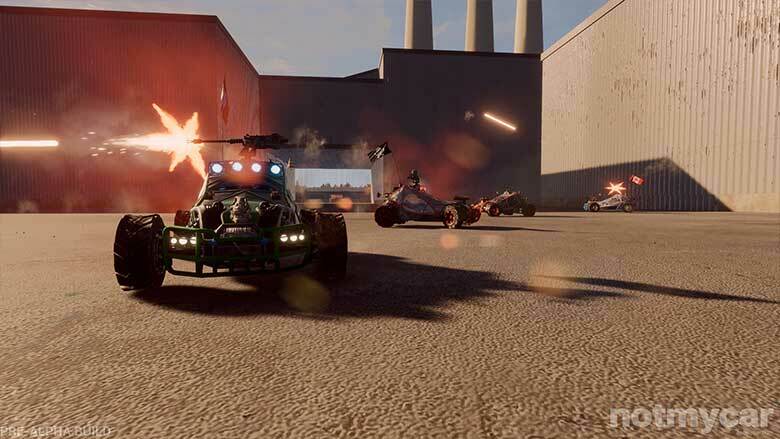 As the above trailer states, the Auto Royale mode features teams of 4 competing for power-ups for their car, and means of eliminating other cars such as landmines, oil slicks, and explosive arrows. You can choose to drive or shoot – no running or walking. As with the standard Battle Royale mode, the toxic cloud will slowly restrict the map, and the last team standing wins. Download H1Z1 for free from the Steam Store. Pavlov VR is a multiplayer shooter for HTC Vive that seems to be garnering mostly positive feedback thus far and is drawing numerous comparisons to Counter-Strike: Global Offensive. In fact, it has Steam Workshop compatibility (meaning anyone can make maps for everyone to play), and some players have already recreated maps from CS:GO. 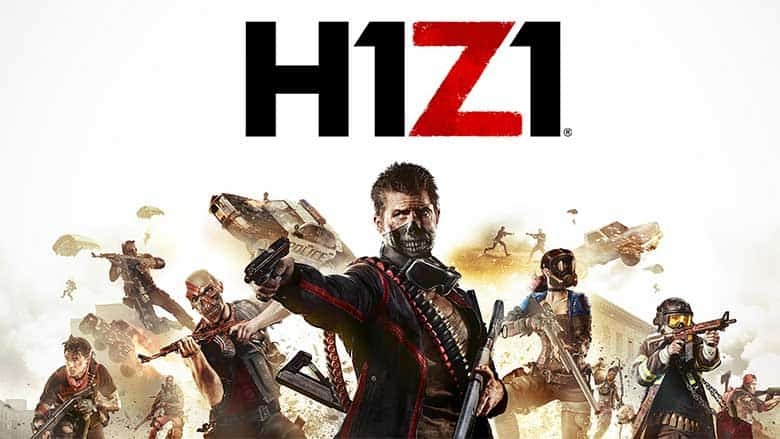 As of right now, there are only two 10-player modes, but last December the developer announced in an update on the Steam page that a Battle Royale mode is planned for this year. No further information has been given as to how the new Battle Royale mode will work, but for $9.99 it may be worth checking out in the meantime, as it seems to be a solid VR shooter that has gotten very positive Steam reviews. You can purchase it from Steam here. There’s no word yet on when it will come out of Early Access; initially, the developer had said 6-12 months, and we are just over the 12-month mark now. There’s also an official Discord channel, which you can join for information about scheduled Battle Royale playtests. Stand Out: VR Battle Royale is another VR shooter in Early Access on Steam, but this one is strictly Battle Royale (as the name suggests). Matches begin similarly to PUBG, with players parachuting from a plane onto an abandoned island, but Stand Out has only 30 players per game and the maps are about half the size of PUBG’s. You start with nothing and must find weapons and supplies in order to survive, all while the edges of the play area gradually move in. There are four different types of driveable vehicles, as well as many different types of buildings and settlements to explore. Sound familiar? The premise is basically the same as PUBG, H1ZI, and numerous other clones; the only obvious difference is the VR aspect. However, as recent Steam reviews are mostly positive, it’s definitely worth checking out if you like the idea of a PUBG VR game. 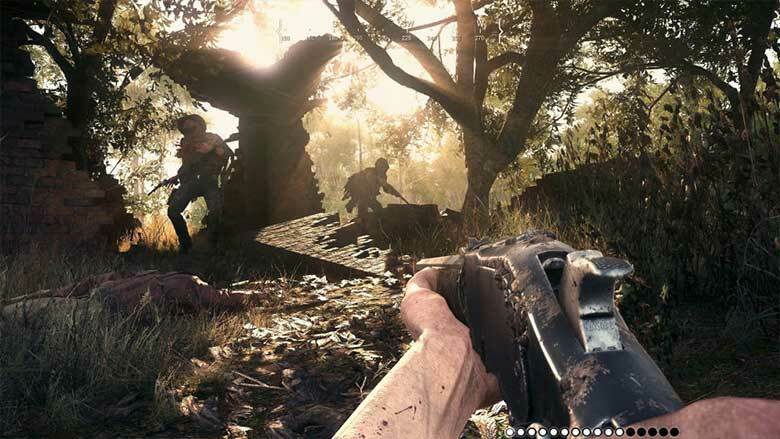 With fewer players and a smaller map, the matches tend to go a little more quickly, as well – which may be a draw for players with a shorter attention span. You can purchase Stand Out: VR Battle Royale from Steam for $24.99. It was expected to be in Early Access for 3-4 months, but thus far, none of the developer updates have mentioned a full release date so whether they will stick to that timeline remains to be seen. SOS has been on the receiving end of mixed reviews since it’s Early Access debut in January, but it might be worth checking out simply because it’s one of the more original Battle Royale games on this list. The developers also plan to keep it in Early Access for a full year, leaving plenty of time for improvement, so it’s definitely worth at least keeping an eye on. First of all, it’s framed as a reality show – think Survivor meets Hunger Games – where you’re just as likely to be saved by your winning personality as you are by killing your opponents. How is that? Well, SOS uses the new Hero platform to automatically stream games to a live audience, who can rate your performance and even influence your outcome by voting on what supply drops each player should get. You’ll need a mic to play, and you communicate with other players – and the audience – via proximity-based voice chat. You can see how many people are watcing you at any given time, as well as what emojis they are reacting to you with. You can buy SOS on the Steam Store for $14.99. Hunt: Showdown veers a little more into the Horror genre than the other entries on the list, and is unique in that it adds a monster hunting element to the standard Battle Royale formula. It has you choose from various Hunters, each of which has a different skill set and loadout, and select a mission; then, unless you’re teamed up with a friend, it will randomly match you with another player. You win by hunting down the monster, looting it, and escaping the map. It’s not that simple, though; you must, of course, contend with other teams along the way. If you make it out alive, you can use the money and experience you earn to upgrade your Hunters. Considering the mixed reviews on Steam, it may not be worth dropping the $30 just yet, but it might be one to add to your wish list. The negative reviews seem to be based mostly on the game’s poor performance, so we recommend keeping an eye on it and giving them some time to work out the bugs. The developers plan to keep it in Early Access for at least 12 months, and if you plan on buying the game you may want to do so during that time because they have mentioned the possibility of raising the price after launch. It’s in a rough state now, but once it’s a little more polished, it should be pretty great. You can buy Hunt: Showdown from the Steam Store for $29.99. 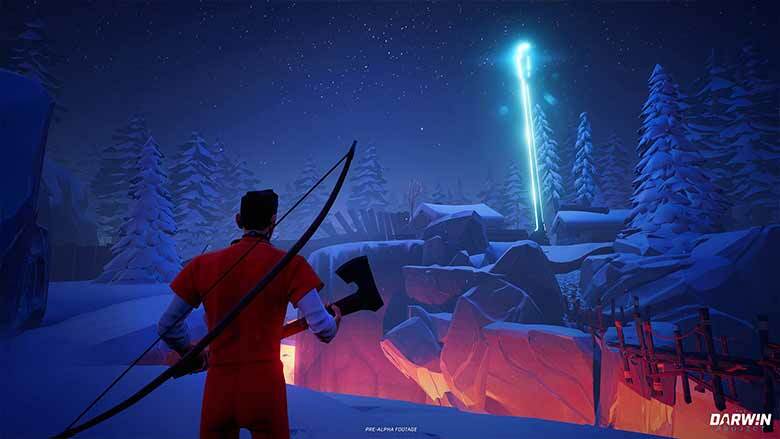 Darwin Project is one of the new Battle Royale games that we’re most excited about. It’s Battle Royale game on a smaller scale with survival elements; ten players are dropped onto a map and must gather resources and craft the necessary tools to survive the cold in the post-apocalyptic North Canadian Rockies. You’ll then track down other players, set traps for them and battle to the death. This is where things get really interesting, however. Like SOS, The Darwin Project is framed as a Hunger Games-esque reality show, and was definitely developed with streaming in mind. The difference is that here, instead of the audience influencing the outcome, you have an eleventh player that acts as the Show Director. From their dashboard, they’ll be able to see everything that’s going on within the arena and unleash all kinds of havoc on the players. They can create gravity storms, lock down certain zones, nuke entire areas, or even help players by healing/warming them up. Of course, even though viewers can’t control the game directly, they can still give input to the Director and vote on what happens should they be asked. It’s always interesting to see how games adapt to new technology, and this new breed of games that make streaming integral to gameplay is no exception. You can buy Darwin Project from the Steam Store or Xbox Game Preview. 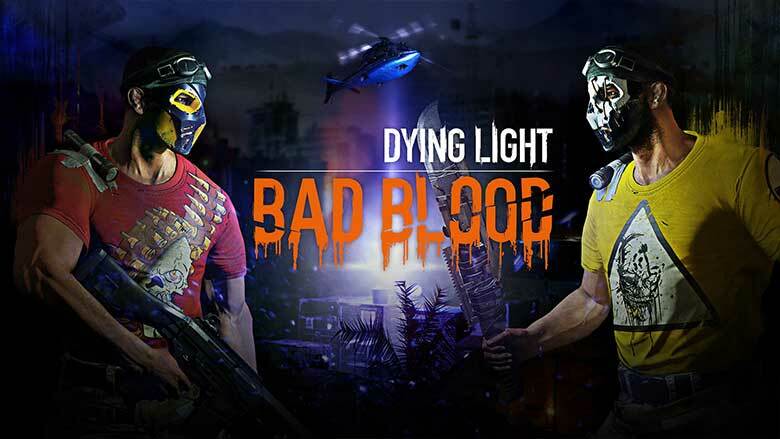 Dying Light: Bad Blood is a standalone multiplayer expansion coming to the existing parkour zombie survival game. The mode is for only six players, but it cleverly blends PVP and PVE elements to create a unique gameplay experience. Strictly speaking, it may not be considered Battle Royale due to the small scale (admittedly, I’m not sure exactly what the cutoff is), but we’ve included it here anyway. In the game mode, you and five other players are dropped into a zombie-infested arena. You must collect blood samples from the infected and escape the arena before nightfall; the catch, of course, is that there is only one seat on the escape helicopter. You will loot abandoned buildings, find weapons, and use those weapons to take on zombie hives and kill their guardians. Then, you will use the blood samples you obtain to level up. This is where things really get interesting; do you form tentative alliances to take on the zombie bosses, only to betray them later? Or do you wait for them to defeat the bosses on their own and then lie in wait to steal their blood samples? The latter might put you at a disadvantage because they will undoubtedly be stronger than you, however, you’ll have the element of surprise. So, as you can see, this particular dynamic lends itself well to strategizing. 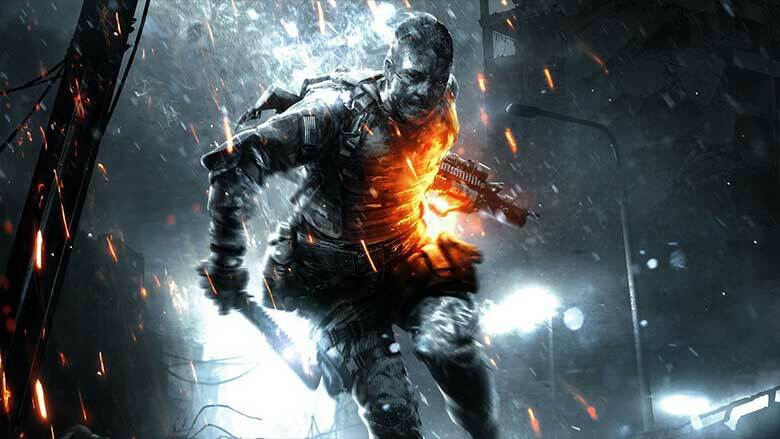 You can buy Dying Light for $39.99 for Xbox One, PS4, or PC. 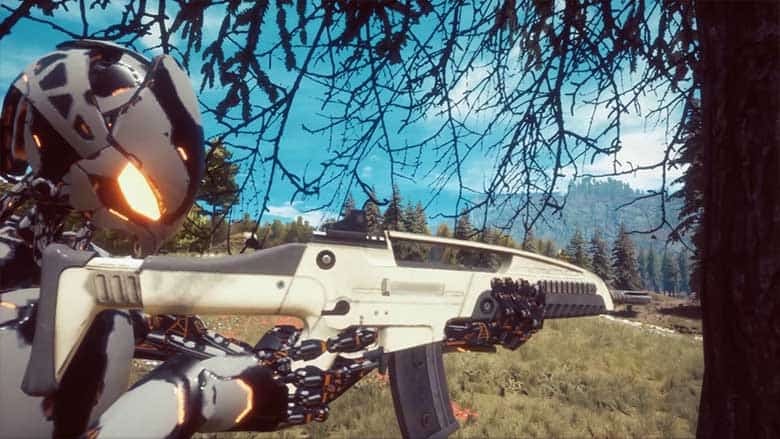 Islands of Nyne is a Kickstarter-funded, sci-fi Battle Royale FPS that’s got us pretty hyped. Just look at that gameplay footage; it looks awesome. It’s a pretty standard BR game, with 100 players per match, but with a futuristic sci-fi setting – like if PUBG and Halo had a baby. Queue up solo, in a duo, or in a five-person squad, and be dropped into a technologically advanced alien-built arena where you must locate weapons and fight to be the last one standing. Of course, a plasma field will gradually advance to restrict the play area as the match goes on. 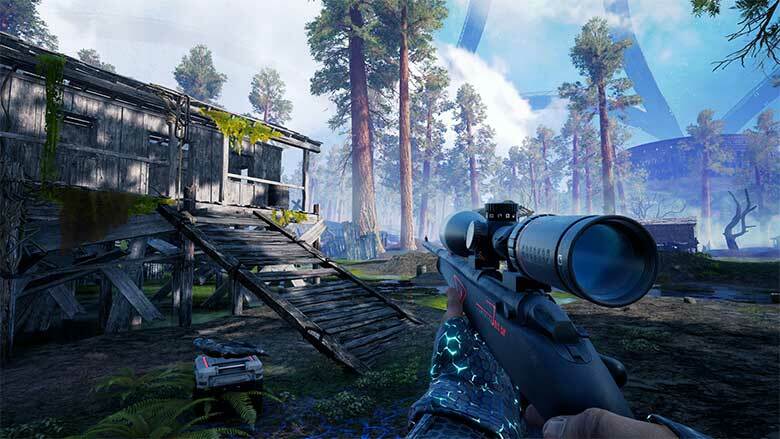 In addition to the futuristic elements, Islands of Nyne has other elements that set it apart, such as a competitive ranking system and cosmetic armor and weapon skin tiers. As you move up through each division in the rankings, you’ll unlock different pieces from that tier set, all of which are designed to be recognizable on the battlefield without giving you a specific advantage (aside from bragging rights). Also, instead of having you jump from a plane, the game randomly places players across the map. Pre-orders are currently sold out, but you can sign up for email alerts to be notified if/when they come back in stock, and all pre-orders include Alpha access. 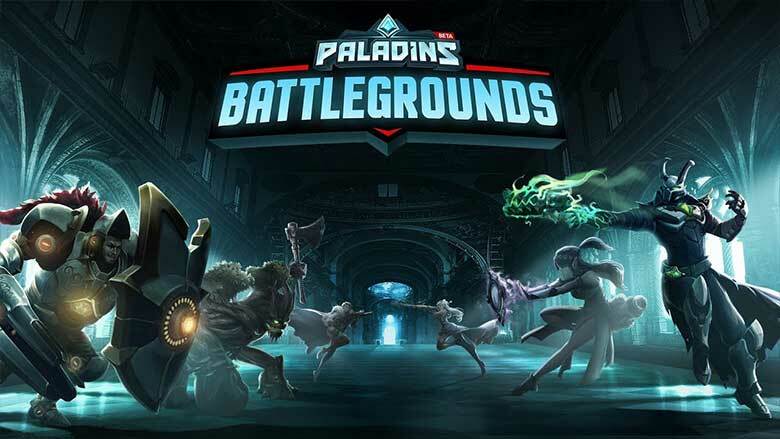 Paladins: Battlegrounds is an addition to the popular free-to-play game that has the distinction of being the first hero shooter Battle Royale game mode. (Honestly, I’m shocked that Overwatch hasn’t cashed in on this trend yet.) While the name might not be particularly original, the fact that it’s BR adapted for the hero shooter genre makes the gameplay automatically unique. The basics are the same, of course; 100 players drop into an ever-shrinking arena and frantically hunt for loot with which to murder one another. Only in Battlegrounds, loot will consist of power-up cards that give you perks. Also, you will have eight heroes to choose from, all with unique weapons and abilities. Oh, and there are mounts. ...You're in your four-person team with your classes, it felt like an MMO raid party. Then you're getting on these horses and you're galloping through this big fantasy landscape, right? For us it was more evocative of the old MMO battlegrounds. Is it a little derivative? Maybe, and it wouldn’t be the first time Paladins has been accused of that. But since the base game is free-to-play, that means the new game mode will be as well, and it does look pretty fun. There will also be new champions added with the release of Battlegrounds. You can download Paladins directly from the website, the Steam Store, the Xbox Store, or the PlayStation Store. 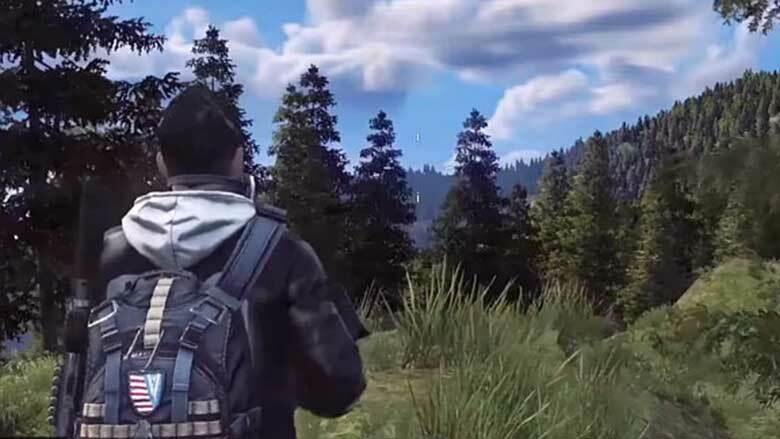 Chinese PUBG publisher Tencent is now releasing their own Battle Royale game, Europa. Not much is currently known about it, including whether or not it will actually release in the West, but the prospect is exciting enough to warrant inclusion in this list. Like PUBG, it is a 100-player BR game, but it features cool things like a dynamic weather system and destructible environments – both of which will force you to think a little bit more strategically. The gear is a little more advanced than what you’re used to scavenging in PUBG, as well; it will include more high-end weaponry and vehicles (like armored cars), paragliders, and night-vision goggles. As mentioned, the game is currently only slated for release in China – but given the explosion in popularity of games like PUBG and Fortnite, it would be a surprise if the developer didn’t capitalize on that by releasing it in other countries. Considering the attention it’s already garnered over here, that would seem like a wasted opportunity, especially for a big company such as Tencent that almost certainly has the resources. 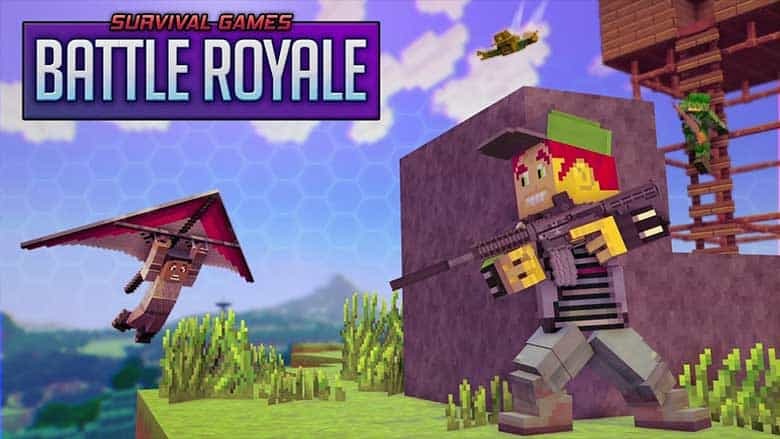 Generic name and Minecraft-esque voxel graphics aside, Survival Games: Battle Royal actually offers a few unique twists on the genre. Maps are procedurally generated, so no two games will look the same, and it will also feature a map editor for players to create their own maps. On top of that, it features four different game modes (including the 64-player Battle Royale mode), stats such as hunger and stamina, crafting, destructible terrain, and player customization. No word on the price just yet, but it’s scheduled to go into Early Access on Steam next month. You can find it here. Crazy Justice is a crowdfunded cel-shaded steampunk game that nearly doubled its goal on Fig, thereby unlocking all of its stretch goals, such as extra game modes and crossplay. It’s similar to Fortnite in that it’s not a strictly Battle Royale game, but rather features a BR mode, as well as a similarly cartoonish style and the ability to build defensive structures such as walls and turrets. It will bring Battle Royale to the Switch for the first time, which is really exciting, and also feature PC/Xbox One/Nintendo Switch crossplay, split screen, multiplayer, and motion controls for the Switch version. There’s no official release date yet, but it will retail for $24.99 on all platforms. We’ll definitely be following this one closely, so keep an eye on this space for more information. Mavericks: Proving Grounds, described as “an MMO of unprecedented scale, supporting 1000 concurrent players in an ultra-high fidelity world instance” interests us for a lot of reasons, not least of which is the 400-player Battle Royale mode. Despite the significantly larger size, developers claim it will be a more stable experience than other large-scale games due to the fact that it will run on the SpatialOS platform, with the entire game world uploaded to the cloud. They also promise photorealistic graphics and a reactive environment with things like footprints, dynamic fire, and environmental destruction. It may sound too ambitious, but VG247 discussed their experience with the short demo available at GDC last week and it sounds promising. More is expected to be revealed at E3, so keep an eye out for that. You can sign up for their mailing list here to receive updates, including information on how to join the closed Beta. Egress is being touted as “Dark Souls meets PUBG”, and it looks awesome. What sets it apart is that it utilized a Souls-like combat system, so it’s much more melee-oriented than, say, PUBG. It’s set in an “alternate universe, combining the Victorian era, Lovecraft’s mythology and Retrowave”. You can choose from different heroes, each with their own abilities, weapons, and strengths/weaknesses. There will be solo and team modes, but we don’t yet know anything regarding map size or the number of players per match. There’s no official release date yet, but you can add it to your Steam wishlist here. From the development team behind the S.T.A.L.K.E.R. 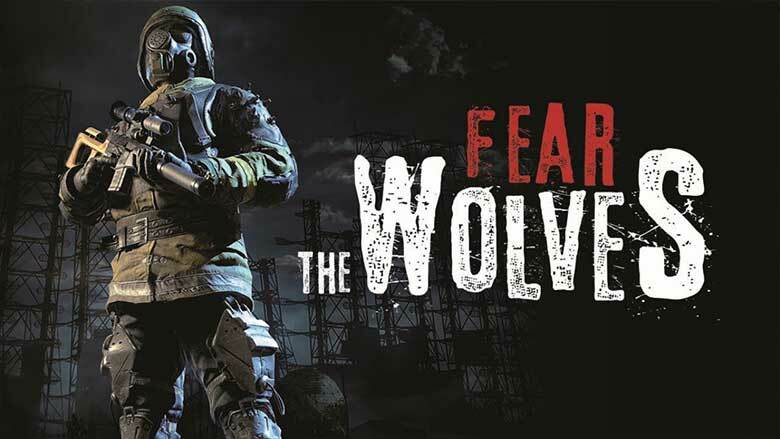 franchise comes post-apocalyptic Battle Royale FPS Fear The Wolves. The classic BR game mode pits 100 players against one another in a radiation-ravaged Chernobyl, with deadly anomalies, dynamic weather, and a day-night cycle. An update on Focus Home Interactive’s site also promises “Another intense and original game mode [that] will also bring a fierce new twist to the genre”. Fear the Wolves will come to Early Access on PC sometime this year. Keep an eye on this page for more information. File Rocket League under “games I’m surprised haven’t added a Battle Royale mode”; looks like Notmycar will beat them in bringing the BR genre to vehicle-based games. Polygon describes it as “mashup of PUBG and Twisted Metal“, which certainly has us intrigued. It’s not much different than your standard Battle Royale game; you jump from a plane and scavenge for resources, only instead of a person, you control a car with guns mounted on it. You obtain weapons from caches around the arena, while the play area gets progressively smaller. The last car standing wins. You’ll earn points that can be spent on vehicle customization options – all of which look to be entirely cosmetic, so they won’t give you any advantage in the arena. There’s no release date yet, but you can sign up for the closed Alpha here. It was only a few days ago that Boss Key Productions announced that they would be stepping back from Lawbreakers due to the fact that it “failed to find enough of an audience to generate the funds necessary to keep it sustained” and focusing on other projects. Already, they have announced one such project – and it’s arriving sooner than anyone would have expected. 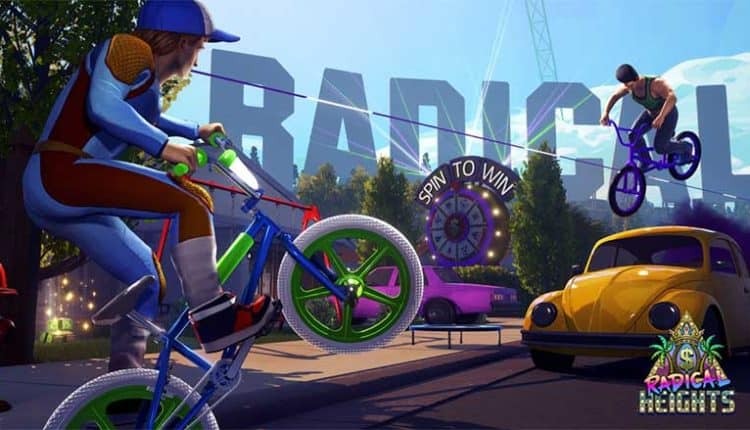 It seems that their next move will be an attempt to capitalize on the popularity of BR with Radical Heights, an ’80s-inspired free-to-play Battle Royale game show. In Radical Heights, “cash is king”, according to the developer. In-game, there are numerous ways to earn cash – the most obvious way being to kill your opponents, but you can also interact with game show elements to earn prize money. You can then decide whether to use that money to buy cosmetic items from your personal prize room or to bank it and use it towards weapons for future matches. There’s no denying that it looks like an ’80s-skinned Fortnite, but we also have to admit that the aesthetic looks really cool. There will even be decade-appropriate weapons and vehicles, such as BMX bikes, workout trampolines, confetti bombs, inflatable decoys and remote explosives. 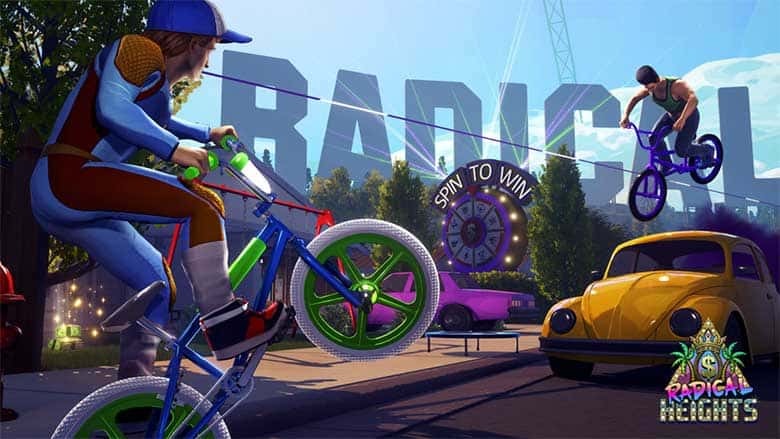 You can download Radical Heights for free via Steam Early Access, or if you so choose, you can pay $14.99 for a Founder’s Pack which will net you over 20 cosmetic items to choose from, 1,000 Rad Gems, $10,000 of in-game cash, and a permanent 10% cash boost for your career in the game. Maelstrom is a Kickstarter-funded third-person action strategy game that recently launched on Steam Early Access. 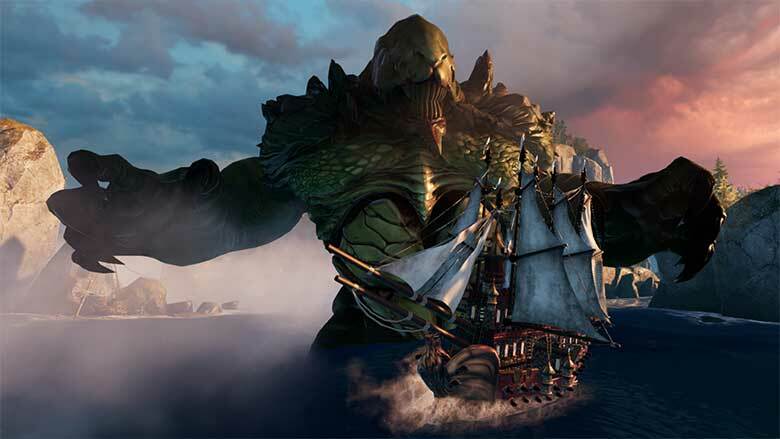 It looks like a cross between Sea of Thieves and PUBG: players compete with one another in fast-paced naval combat in an attempt to sink all enemies and be the last ship sailing. It’s not just other players you have to watch out for, either; there are also fearsome sea monsters lurking in the depths. Players can choose one of three races – Orc, Human, or Dwarf – and from there, there are a number of methods to achieve victory. There are three different types of cannon ammo that you can swap between depending on the situation; you also have the ability to board other ships or just straight-up ram them. You can then plunder fallen ships for gold and upgrades. Any and all loot is earned through playing – the devs promise there will never be loot boxes or microtransactions. There are many different elements to add layers of depth to Maelstrom. The ships of each of the playable races each have their own strengths and weaknesses, can be upgraded to further customize your playstyle, and contain procedurally generated crew members that all contribute their own unique skill set. The devs promise that these three races are just the beginning, and they have many more planned for the future, in addition to cosmetic upgrades. You can purchase Maelstrom from Steam here for $19.99. Promixa Royale is a fast-paced sci-fi shooter powered by Unreal Engine 4 that almost looks like a Battle Royale version of Destiny. It takes place on the terraformed planet Proxima Centauri B, where 60 players must all compete in a 25 km² area to be the last robot standing. Beyond that, not much is known, but the graphics look pretty impressive. The game is currently in Closed Alpha, with an Early Access release planned for sometime in Q2 of this year. There is still a little bit of time left to support their crowdfunding campaign here and get access to the Closed Alpha. 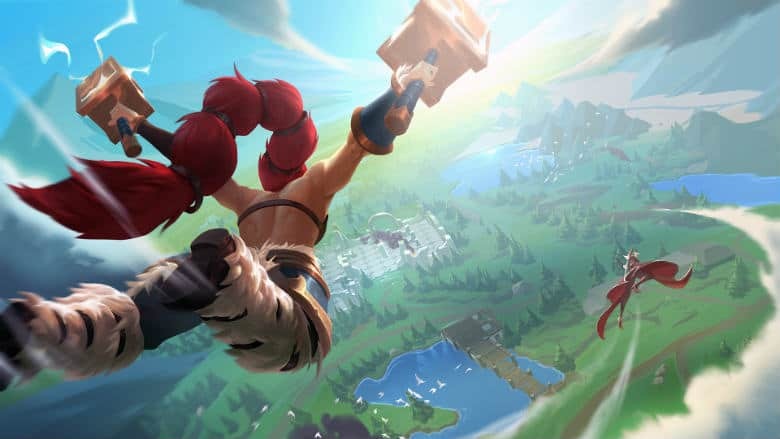 Stunlock Studios just announced that they are bringing Battle Royale to their popular free-to-play MOBA Battlerite this summer. Like their standard mode, the BR will be from a top-down perspective, but will pit 20 players against each other (either solo or in duos) on an island map 30 times the size of the standard arena. 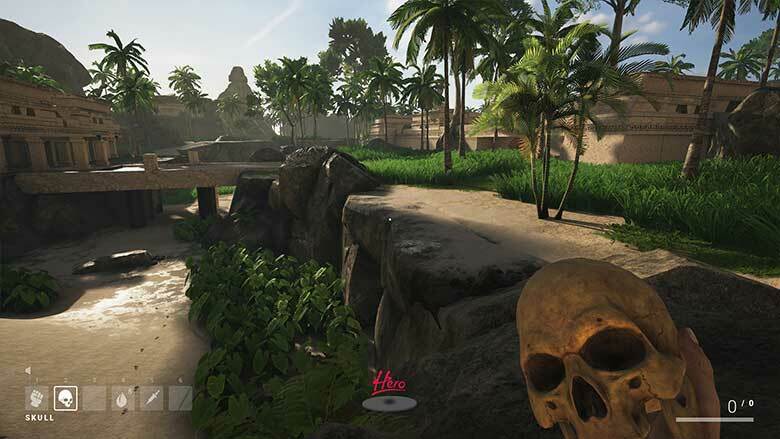 It will consist of fast-paced 10-minute matches that pretty much follow the standard formula: drop on an island, race to find resources, and be the last one standing. What really sets Battlerite apart is its offering of 27 unique Champions to choose from; each is categorized into a role (ranged, melee, or support), and mastering their different abilities will be the key to your survival. Marketing Director Johan Ilves said of the new mode, “We want to give players the excitement of a Diablo-esque exploration experience combined with the character variation of a MOBA and the thrill of a survival game.” Battlerite is a favorite go-to game of ours, so we are excited to jump back in and see what this new mode has to offer. You can download Battlerite from the Steam store for free here. You also have the option of purchasing the All Champions Pack for $29.99, which will unlock all 27 Champions. 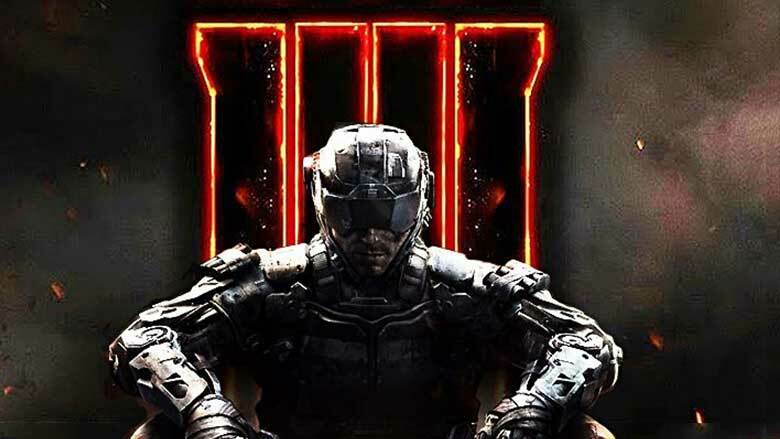 Nothing has been confirmed yet, but there have been rumors flying that Call of Duty: Black Ops 4 will have a Battle Royale mode in place of a solo campaign. While all the indie BR titles are certainly appealing for various reasons, it will be exciting to see what an established series of shooters from a big developer can do with the genre. The rumor was first reported by Charlie Intel and then corroborated by several other outlets, including Eurogamer, who also states that they are working towards that “magic 100 player mark”. Speaking of big-name shooters adding Battle Royale modes, developer DICE is reportedly testing such a mode for Battlefield V, which is supposedly due out later this year. The game itself has not been officially announced yet, but its existence leaked last month, and it’s also been reported that it will take the series back to a WW2 setting. We don’t know yet if the mode will get a green light to be in the final game, or what it will entail if it does, but the prospect is certainly exciting.